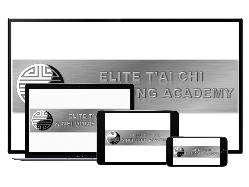 Fancy being able to practice the t'ai chi set whenever you want, in your own home? On even on your laptop's disc drive while your away? Well, the good news is, now you can. This is the first time I've released this DVD to my email subscribers, before that, it's only been available at classes. You get me leading you, that is, walking and talking you through every single move of the left hand form (the 1st side) of the 12 move mini-set which is the core set in every class. I also demonstrate the 8 exercises from the Stress Prevention Qigong Set, shown from a front view so that you can follow along too. Together the T'ai Chi Set and Stress Prevention Set are the core forms for nearly every class I do and this DVD covers all the basics for you. In short, it's the perfect place to start. This is the DVD that's become so popular at the classes, I've had to re-order it many times over. You'll be able to follow along with me in your living room / hotel room and never have to worry about remembering which move comes next again.